eye got two words: BE THERE. This entry was posted on June 2, 2010 by unique74mag. 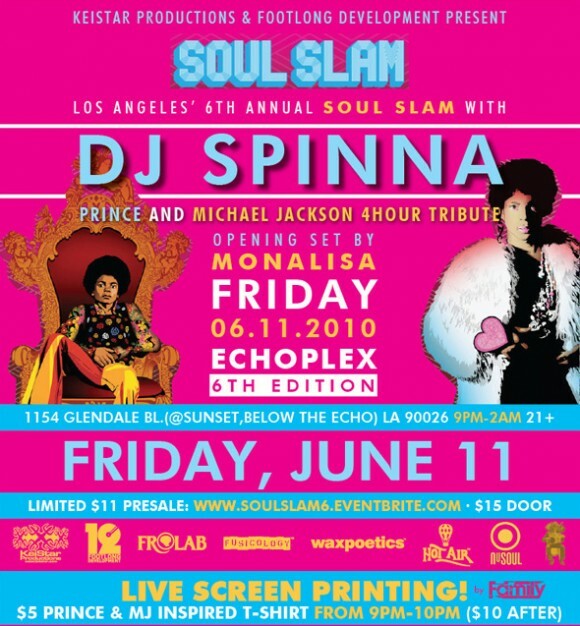 It was filed under Events, Unique 74 and was tagged with Dj Monalisa, Dj Spinna, Footlong Development, Frolab, Los Angeles, Micheal Jackson, Prince, Soul Slam, Unique74.